Support all latest versions of Outlook 2016, 2013, 2010, 2007 and later versions as well. 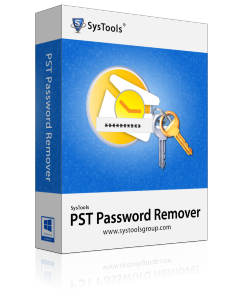 The PST Password remover software is single or stand-alone utility to recover forgotten password form Outlook pst files. It helps the user to retrieve emails from password protected pst files without the prerequisite of Microsoft Outlook application. It simply means that No outlook installation is needed to recover the password. The PST password recovery solution provides the enhanced functionality for recovery of passwords from bulk pst files spontaneously. For the same, you have to add the folder containing multiple pst files and then the software automatically removes password in one go. By doing so you can save your crucial time as well. Download Free demo now. 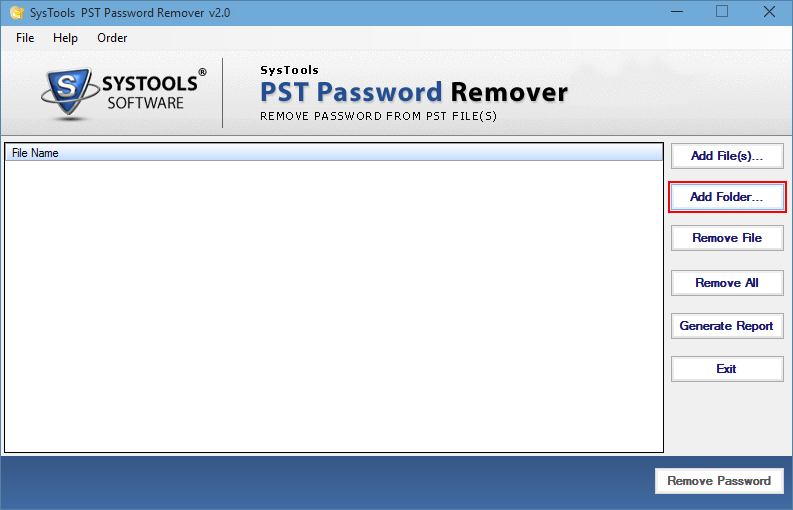 The pst password removal freeware tool supports the recovery of passwords of the lengthy character set. The software is so proficient in its working that it does not care about the length of password applied. It simply bypasses all the characters following advanced recovery algorithms. 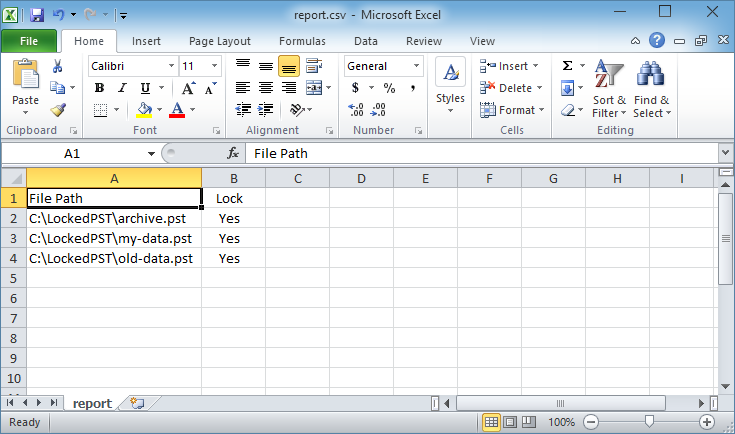 The Outlook data file password recovery tool provides the facility to safely recovers lost or forgotten password easily. After the removal of the password from protected pst file. You can simply apply the password of your choice. The Outlook pst file password recovery software performs the quick recovery of the password in all scenarios such as password applied using the multiple characters sets such as special characters, digits or symbols etc.. For example Ra1012!%R19rA#$I. Software supports the easy recovery of such passwords also. 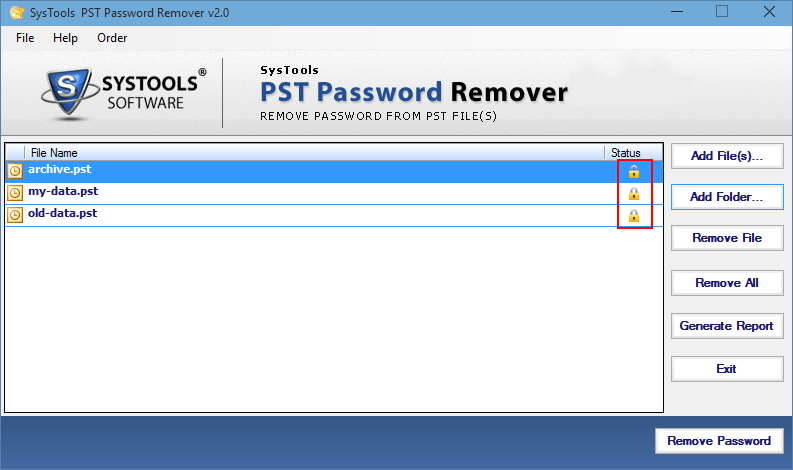 Demo of PST Password Remover Software will show you the status as a lock icon, if PST file is password protected. Support: Windows 10 & All below Windows Operating System Version. Microsoft Windows – 2000, 2003, 2008, XP, Vista, or Windows 7/8/8.1,10,10.1 2008/2012 (32-bit & 64-bit). Does Software require any external application to be installed on the system for successful recovery of password? No, The PST password recovery software does not require any external application such as Microsoft Outlook configured or installed on the system. It is the stand-alone utility to remove password from protected pst files. I want to know Whether the software is capable of recovery of multilingual passwords or complex passwords too? Yes, the software is totally enriched with advanced algorithms to recover password created using any languages or symbols. I have some encrypted pst files. Does software remove encryption from pst file also? Yes, Definitely, software easily breakdowns the encryption of pst files to have access to it in outlook. We are currently using the latest Outlook version 2016 and desired to remove password from pst file. Does software support it? Few Days before, I forget Outlook password. I tried all the hacks to unlock pst file. I searched for software to safely recover the password. Then after some outlook experts recommend me to use PST File Unlocker. Then I used the same to easily recover my lost password in quick time. I glad to have such a nice software. I have successfully recovered multilingual password created by one of my employee on Outlook pst file. 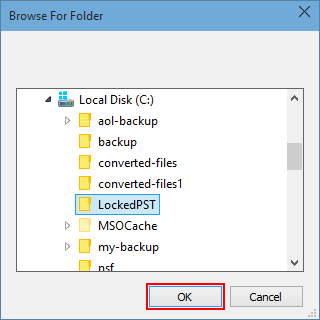 I amazed with performance of PST File Unlocker and therefore I would like to recommend it to others to remove password from pst instantly without loss of any crucial data. Thanks to developer team for developing outstanding software.